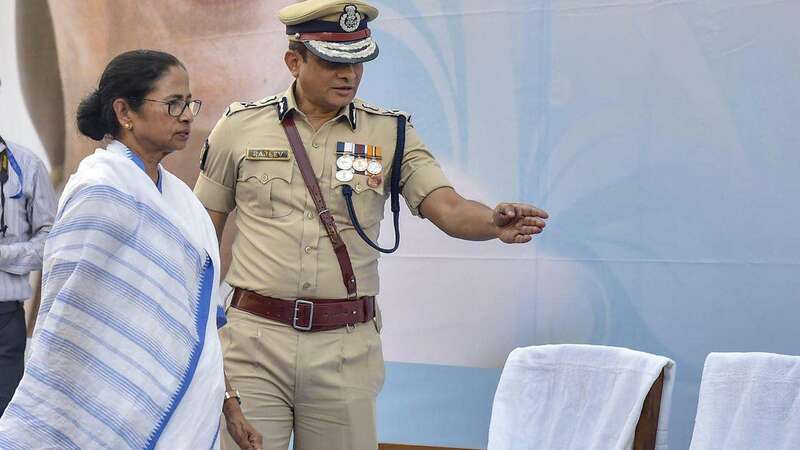 Feb 6 (AZINS) West Bengal Chief Minister Mamata Banerjee Wednesday said the state government is yet to receive any notice from the Ministry of Home Affairs for taking disciplinary action against Kolkata Police Commissioner Rajeev Kumar for allegedly violating service conduct rules. The chief secretary or the home secretary will reply to the notice after it was received, she told reporters at the state secretariat.Banerjee was replying to a query about reports from New Delhi that the MHA has asked the state government to take steps against Kumar for his alleged violation of the All India Service (Conduct) Rules by attending the Trinamool Congress supremo's dharna here. "No such letter was received till this afternoon. At a meeting to discuss the business summit tomorrow, I asked the chief secretary and home secretarywhether they had receivedany such letter. They said no," Banerjee said. On how contents of the purported letter found mention in a section of the media, she said, "I don't know." Banerjee had on Tuesday described as "blatant lie" the MHA's charge that the city police chief had participated in her dharna and said the officer never went up to the dais. Banerjee was on a sit-in protest for three days against the CBI's attempt to question the Kolkata Police Commissioner in connection with chit fund scams.She called off her dharna Tuesday evening after the Supreme Court forbade the CBI from taking any coercive action against Kumar, but vowed to wage a battle against the Narendra Modi government till it was ousted from power.